"Now go to my writing desk and use the mystical inkwell there. You need to prepare yourself for a scrap!!" Elder Kettle is a character in Cuphead who acts as the caretaker of Cuphead and Mugman. He is responsible for the brothers' finger gun powers and possibly writing the tutorial. Elder Kettle is a tannish-looking teapot with a mustache. He wears white gloves and he's always carrying a brown cane. Elder Kettle is a classic parental figure, being very wise and always wanting the brothers to do the right thing. It is also heavily implied that he is a retired knight, having a sword hanging on the wall of his cottage as well as there being a statue of him kneeling at Rugged Ridge. Elder Kettle acts as the parental guardian of Cuphead and Mugman, keeping them out of trouble and warning them constantly not to go to the casino in Inkwell Hell. One day, the brothers manage to wander far away from home and become in debt to The Devil. Despite being disappointed by what the brothers have gotten themselves into, Elder Kettle agrees to help them, for he fears what The Devil will do to them if they don't succeed. He gives the pair a potion that grants them the ability to use their weapons and requests that they do the tutorial before starting their quest. After Cuphead and Mugman defeat all of the debtors in Inkwell Isle One, Elder Kettle catches up to them. He reveals that the brothers are growing in strength and may be able to turn the tables on both King Dice and maybe even The Devil himself. However, he also says that they will have to hold onto their contracts in order to stand a chance against him. In the good ending, Elder Kettle is seen participating in the celebration with the other debtors, being proud of Cuphead and Mugman for their victory against The Devil. Elder Kettle reunited with Cuphead and Mugman. Elder Kettle in a cutscene. 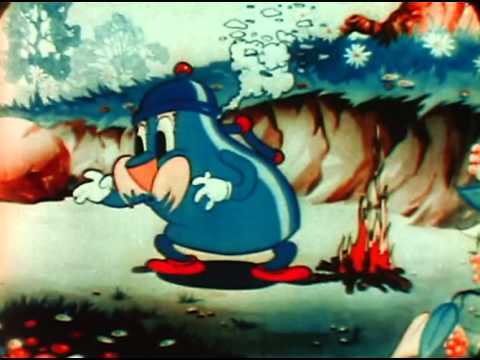 His design may based on the character Mr. Coffeepot from the 1935 Van Beuren cartoon Picnic Panic. Both characters even have cup-like children that they care for. Statues of Elder Kettle, or somebody bearing an unreasonably close resemblance, can be seen in the background of Rugged Ridge, suggesting a connection between him and the Legendary Chalice.